Nicole Poulos, the sophomore goalie for the Lady Vaqueros water polo team, competes in her second year for City College at the San Marcos High School pool in Santa Barbara Calif., on Sunday, Sept. 23, 2018. Poulos is from Carpinteria, making her the only Vaquero from Santa Barbara County. 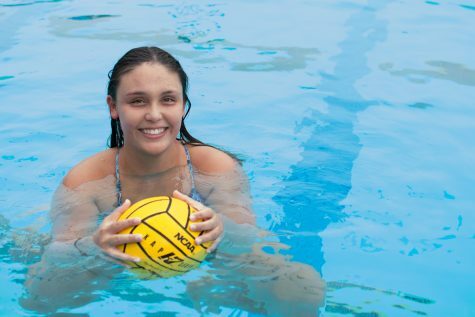 The Vaquero women’s water polo team captain, Nicole Poulos, is blowing the competition out of the water with her defensive skills in the goal. 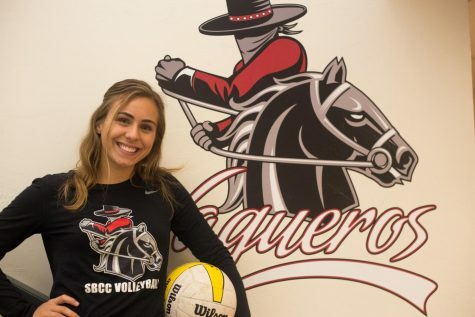 Originally from Carpinteria, only 10 miles east of City College, she has already assisted in the women’s volleyball team 12 game winning streak. Head coach Brian Roth points out Poulos as their most improved player of the season. 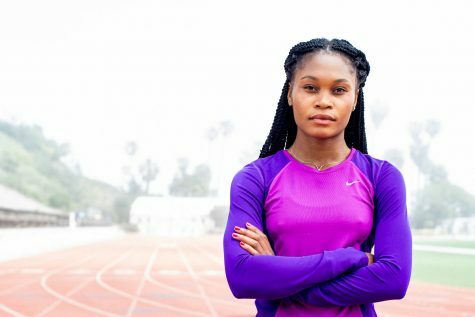 “She was selected as a captain this year by her peers and coaches. If there is one area of noticeable growth it would be her throwing. She can throw at least 12 meters further this year and that changes our counter attack and scoring opportunities,” Roth said. Poulos, who has racked up 63 saves this season so far, did not always expect to be in the position she is in now. 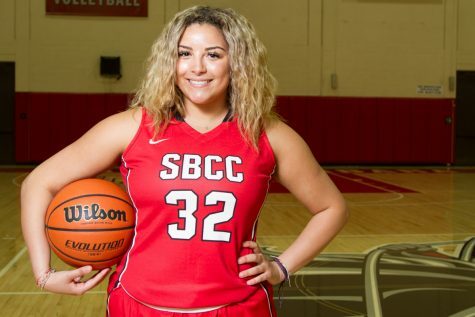 Standing at 5 feet 9 inches, with curly hair just as long and free-spirited as her mindset, Poulos initially participated in volleyball and basketball up into her freshman year of high school. 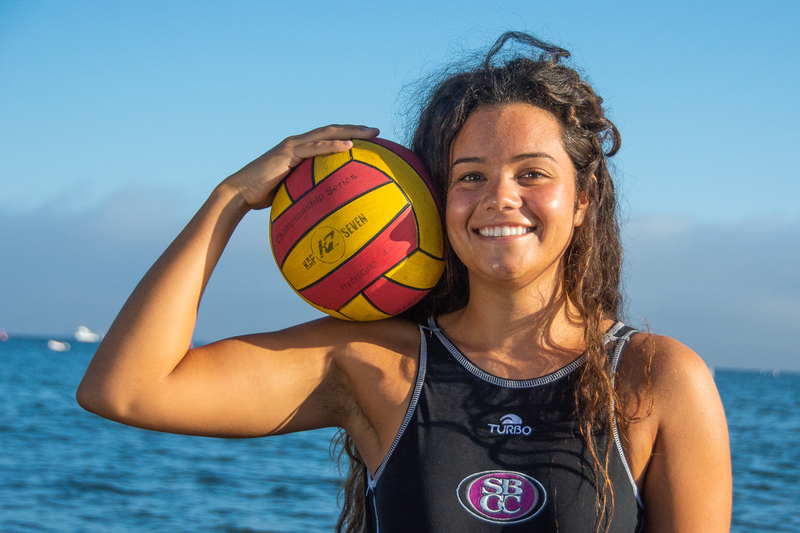 After unsuccessful attempts to join a team in a familiar sport, Poulos said, “Screw it, I’ll try it.” in regards to girls water polo at her high school. 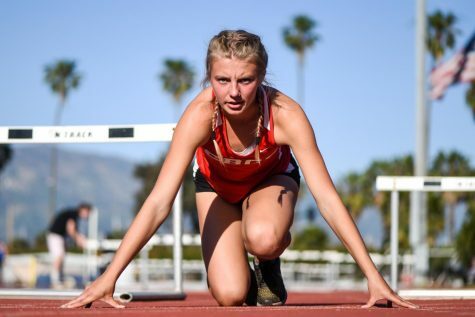 Poulos’ easy-going attitude and charisma translate from her everyday life to her athleticism. “I’m having fun most of the time. Most of the time I’m smiling” she said. Considering the Lady Vaqueros’ consecutive Western State Conference championships, there are high expectations for the team. 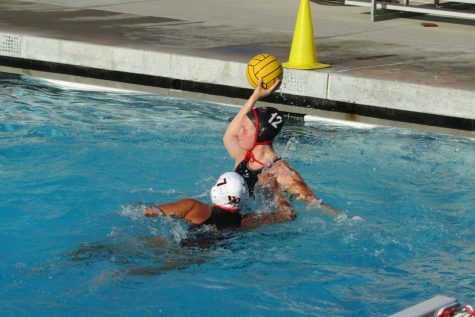 Currently holding their 12-0 winning streak, Santa Barbara City College women’s water polo beat Ventura College this past Wednesday 14-0 with Poulos single handedly earning a 54.5 save percentage. 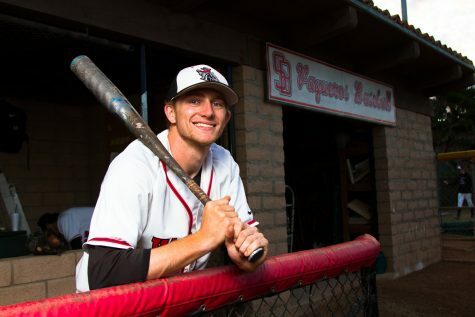 The best average so far this season being 80 percent against Riverside City College. Nicole Poulos, a standout goalie for the Lady Vaqueros water polo team, at Stearns Wharf in Santa Barbara, Calif., on Sunday, Sept. 23, 2018. 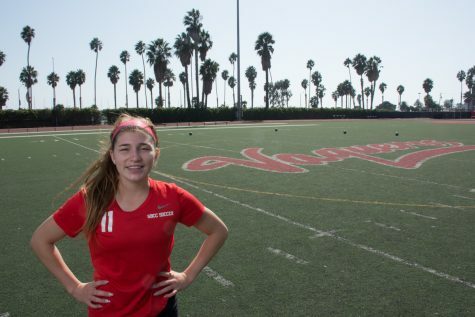 Poulos lead the Vaqueros with 170 saves last season, etching herself on the Vaqueros all time season leaders lists. The women on the team have had time before this semester to build a bond and learn how to work together. “We were all freshmen last year except for two girls. So now that we have the same team we can kind of work together and get to know each other better. I think that is really gonna help us when it comes to conference,” Poulos said. The women’s water polo team is well decorated despite its fresh start. 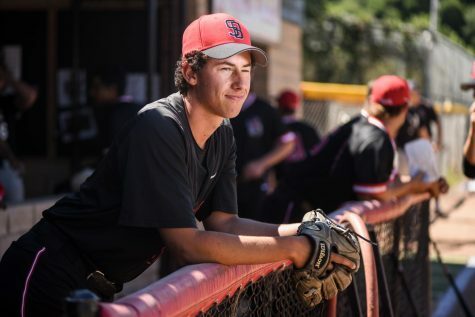 Roth, who has only been head coach since the water polo program’s humble beginnings four years ago, has witnessed the team make their mark as Western State Conference champions three years in a row since 2014. Once she has completed her studies, Poulos hopes to study abroad as an environmental studies major. Going with the flow, Poulos has no specific place in mind for the time being, traveling wherever the wind takes her.